Wait, there are different varieties of pumpkins? The answer to this question is yes. Believe it or not, there are over fifty different species of pumpkins that are grown in the United States. Porcelain doll pumpkins serve as both unique decorative pumpkins with their treasured pale skin. They are also fantastic for making pies, soups, and other treats. 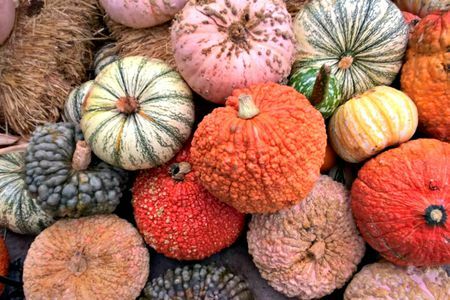 Warty pumpkins are best used for decoration; their varied color and bumpy texture give them an added layer of interest. In addition, they last relatively long because they resist powdery mildew. Baby boo pumpkins are small, round, and flattened on top, with white flesh. Unfortunately, they are not edible and should only be used for ornamental purposes. These pumpkins are native to America and get their name because they are large, and round — similar to a wheel of cheese. 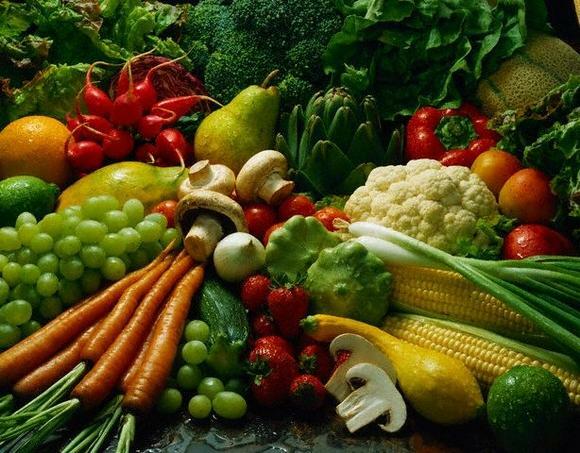 They are also rich in rich in beta-carotene, vitamin A, vitamin C, and potassium. The sugar pie pumpkin is the most commonly used cooking pumpkin, especially because they have a smooth texture and a rich, sweet texture. The turban pumpkin originated in France during the early 1800s. They get their name from their turban like top, and have a taste similar to acorn squash. These pumpkins are tiny, weighing in at around eight ounces. Jack-Be-Little pumpkins originated in Thailand and can be consumed or used for decorative purposes. The kabocha squash comes from Japan, and is one of the best cooking pumpkins. Their texture and taste is very similar to sweet potato once cooked. Connecticut field pumpkins have a large, rounded shape with a flat bottom which makes them one of the best varieties for pumpkin carving. Their flesh is not very palatable, so they are hardly ever eaten. The peanut pumpkin gets its name from the small, beige colored growths found on their skin. They are caused by a buildup of excess sugar in the flesh of the pumpkin. Although they seem disgusting, they are one of the most delicious pumpkins around. Although these are actually a variety of eggplant, they resemble small pumpkins. this variety of eggplant is used in stir fries.